Submitted by eustacesequeira on December 15, 2012 - 9:56am. Perhaps you remember me... class of 1962. The last time I met Henry Hommem was in Lusaka ... now I am in Denver at Regis University. I cannot be there with you boarders, but am so gld to see you all. Submitted by Frank Mascarenhas on November 7, 2012 - 5:15pm. 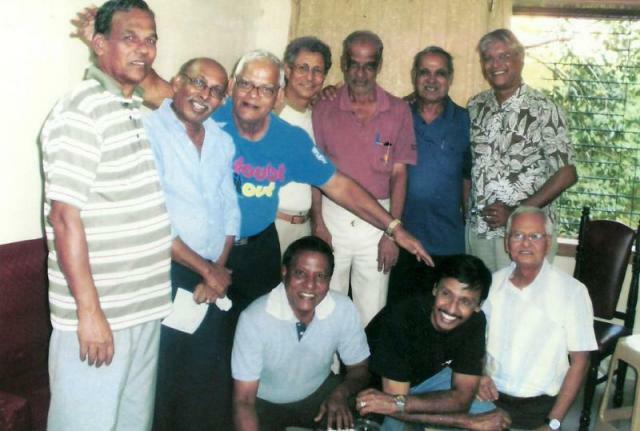 ( L to R ) : Peter Fernandes, Mathew Barretto,Henry Hommem, Stanley D'costa, Joe Hommem, Frank Mascarenhas & Fr. ( L to R ) : kneeling : Agnelo Rodrigues, John Khandekar & Vivian Barnett.